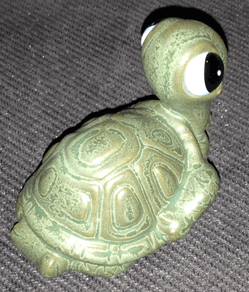 This little green glazed tortoise has a gold and pink sticker on it's base with a large letter N and the words "Napcoware Import"
The big wide eyes are painted with white blue and black and are glued on separately. 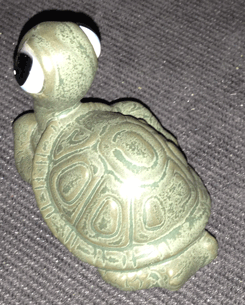 The glue has run out over the top of the left eye as seen in the picture below. 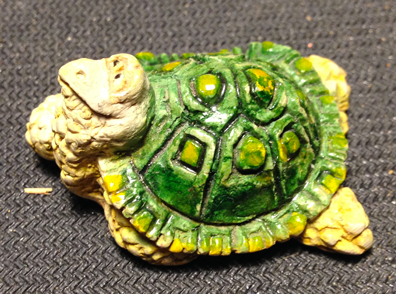 The turtle body is painted in a crackly green glaze that leaves varicolored patterning all over the piece - darker and lighter shades of green. 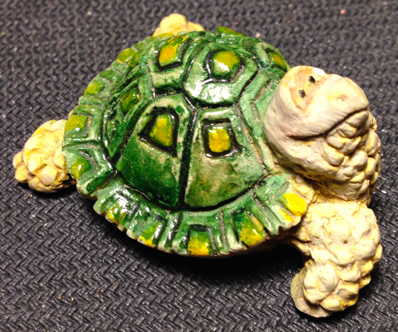 This little ceramic tortoise ia about 2.5 inches long, 1.5 inches wide and just under 2 inches tall at the head. It weighs 1.2 oz. 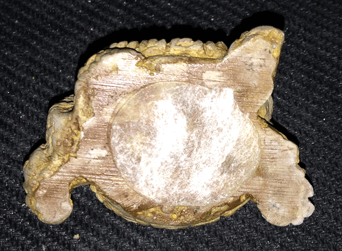 This turtle is over 30 years old. 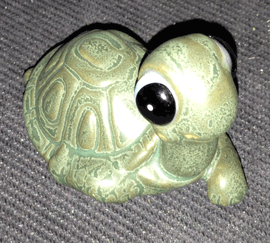 This little tortoise has a matte greyish beige body and glossy shell. 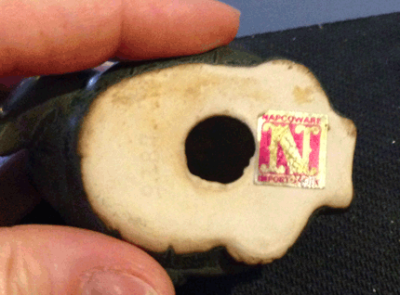 It's in good condition, with no chips. 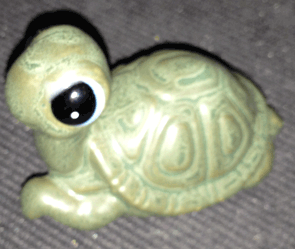 There is no maker's mark on this tiny turtle. 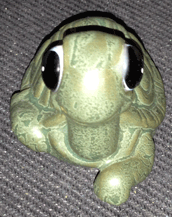 It's 1.5 inches ling by 1 inch wide, and less than 1 inch tall at the head. It weighs 0.6 oz. 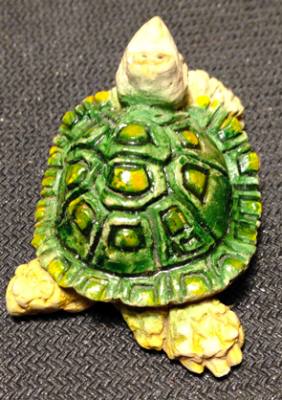 This little green and yellow tortoise is probably made from poly resin. 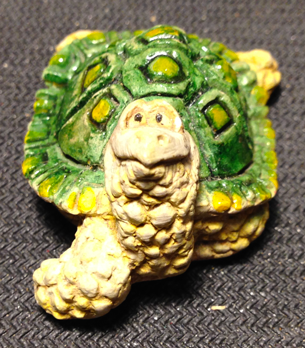 It's over 30 years old.